Taxidermy wildlife items for sale....that is what we are all about !!! Decorate your home with taxidermy wildlife mounts. A taxidermy mounted head on the wall or over the fireplace will enhance your decor. A real fur rug on the floor or wall will add a finishing touch to any room. We have a huge selection of taxidermy mounts for sale. These taxidermy mounted animals will add a finishing touch to your home, office, or cabin. A quality item like a beautiful grizzly bear rug is a conversation piece that you will enjoy for a lifetime. We have a huge selection of real grizzly bear rugs, black bear rugs, brown bear rugs, polar bear rugs, timber wolf rugs, arctic wolf rugs, mountain lion rugs, cougar rugs, and other assorted fur rugs for sale. An item such as a taxidermy bear skin rug is a beautiful piece of taxidermy art that you will appreciate forever. We also have an assortment of mounted heads of North American animals, including mountain sheep head mounts, grizzly bear heads, mountain goat headmounts, and other species such as mule deer, whitetail deer, moose, caribou, antelope, etc., full shoulder head mounts. We also have some whole lifesize full body mounts, of North American animals, including full mount grizzly bears, life size mountain lions, mountain goat front half mounts, mounted fish, and more. We have a good selection of mounted antlers and mounted horns. We also have a large selection of mounted birds, such as hawks, owls, game birds and many other species. 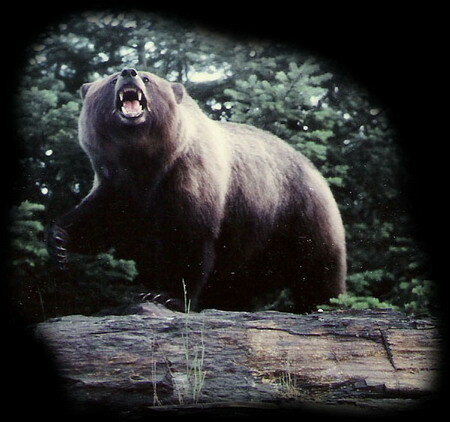 We have a large selection of real grizzly bear claws, black bear claws, cougar claws, wolf claws, lynx claws. Predator canine teeth also available. We have a huge selection of real grizzly bear skulls, black bear skulls, cougar skulls, wolf skulls, wolverine skulls, mountain sheep skulls, mountain goat skulls, musk ox skulls, bobcat skulls, lynx skulls, coyote skulls, deer skulls, and more. We have an assortment of North American wildlife tanned hides, tanned fur skins, tanned bear skins, and other tanned animal hides. We also have a large selection of mountain sheep horns, moose antlers, elk antlers, deer antlers, and other assorted horns and antlers for carving, crafts or chandeliers. We even have some very rare and unique items such as a real authentic mammoth tusk and other exotic items, for sale. If you are looking for taxidermy mounts for decor or wildlife items for manufacture.....check out our site.....chances are that we have what you are looking for. -all items listed for sale on this website are available for immediate purchase.